It's official, summer is coming to an end! But before we get into fall, Labor Day is here to give us all one more chance at summer relaxation before the weather starts to change! Whether you're hanging out poolside, enjoying a neighborhood barbeque, or just watching Netflix this year, these apps and gadgets will make your Labor Day one for the books. Labor Day is a great chance to get outside and listen to tunes! The Ultimate Ears Wonderboom speaker is small, portable, and most importantly, waterproof! It's perfect for a poolside party or a day at the beach. The Wonderboom speakers can float in the pool and be paired to augment the sound. The small speaker is afforable too, get it for $99 here. I don't know about you, but I love the chance to get out of town on Labor Day weekend! Luckily, there is tech that I can take wherever I go. 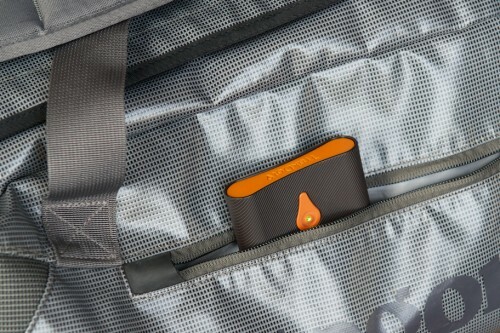 With Trakdot, I can keep an eye on my luggage when I fly, or even drive, to a destination. Nothing puts a hamper on a holiday weekend like lost bags, so Trakdot's patented technology uses cellular networks to transmit your bags' location to you. Staying connected even on your days off is so important, not to mention how great it is to share all the fun you're having. Summer isn't officially over for another few weeks, but you can enjoy these gadgets beyond September 21st!